Einstein’s “spooky action at a distance” and quantum information theory (QIT) may help explain the so-called arrow of time — specifically, why it seems to flow in only one direction. Astronomer Arthur Eddington first described this asymmetry in 1927, and it has stumped theoreticians ever since. At a macro-level the classic and simple example is that of an egg breaking when it hits your kitchen floor: repeat this over and over, and it’s likely that the egg will always make for a scrambled mess on your clean tiles, but it will never rise up from the floor and spontaneously re-assemble in your slippery hand. Yet at the micro-level, physicists know their underlying laws apply equally in both directions. Enter two new tenets of the quantum world that may help us better understand this perplexing forward flow of time: entanglement and QIT. But to the bafflement of generations of physicists, the arrow of time does not seem to follow from the underlying laws of physics, which work the same going forward in time as in reverse. By those laws, it seemed that if someone knew the paths of all the particles in the universe and flipped them around, energy would accumulate rather than disperse: Tepid coffee would spontaneously heat up, buildings would rise from their rubble and sunlight would slink back into the sun. Surely, he said, time’s arrow is not steered by human ignorance. And yet, since the birth of thermodynamics in the 1850s, the only known approach for calculating the spread of energy was to formulate statistical distributions of the unknown trajectories of particles, and show that, over time, the ignorance smeared things out. Popescu, Short and their colleagues Noah Linden and Andreas Winter reported the discovery in the journal Physical Review E in 2009, arguing that objects reach equilibrium, or a state of uniform energy distribution, within an infinite amount of time by becoming quantum mechanically entangled with their surroundings. Similar results by Peter Reimann of the University of Bielefeld in Germany appeared several months earlier in Physical Review Letters. 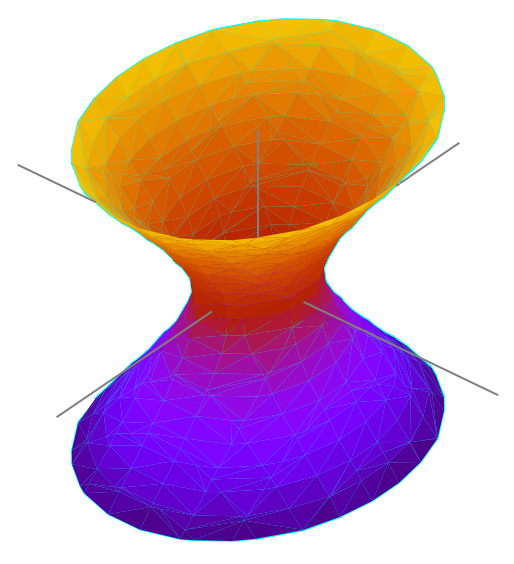 Short and a collaborator strengthened the argument in 2012 by showing that entanglement causes equilibration within a finite time. And, in work that was posted on the scientific preprint site arXiv.org in February, two separate groups have taken the next step, calculating that most physical systems equilibrate rapidly, on time scales proportional to their size. “To show that it’s relevant to our actual physical world, the processes have to be happening on reasonable time scales,” Short said. If the new line of research is correct, then the story of time’s arrow begins with the quantum mechanical idea that, deep down, nature is inherently uncertain. An elementary particle lacks definite physical properties and is defined only by probabilities of being in various states. For example, at a particular moment, a particle might have a 50 percent chance of spinning clockwise and a 50 percent chance of spinning counterclockwise. An experimentally tested theorem by the Northern Irish physicist John Bell says there is no “true” state of the particle; the probabilities are the only reality that can be ascribed to it. Quantum uncertainty then gives rise to entanglement, the putative source of the arrow of time. “Entanglement is in some sense the essence of quantum mechanics,” or the laws governing interactions on the subatomic scale, Brunner said. The phenomenon underlies quantum computing, quantum cryptography and quantum teleportation. The idea that entanglement might explain the arrow of time first occurred to Seth Lloyd about 30 years ago, when he was a 23-year-old philosophy graduate student at Cambridge University with a Harvard physics degree. Lloyd realized that quantum uncertainty, and the way it spreads as particles become increasingly entangled, could replace human uncertainty in the old classical proofs as the true source of the arrow of time. Using an obscure approach to quantum mechanics that treated units of information as its basic building blocks, Lloyd spent several years studying the evolution of particles in terms of shuffling 1s and 0s. He found that as the particles became increasingly entangled with one another, the information that originally described them (a “1” for clockwise spin and a “0” for counterclockwise, for example) would shift to describe the system of entangled particles as a whole. It was as though the particles gradually lost their individual autonomy and became pawns of the collective state. Eventually, the correlations contained all the information, and the individual particles contained none. At that point, Lloyd discovered, particles arrived at a state of equilibrium, and their states stopped changing, like coffee that has cooled to room temperature. The idea, presented in his 1988 doctoral thesis, fell on deaf ears. When he submitted it to a journal, he was told that there was “no physics in this paper.” Quantum information theory “was profoundly unpopular” at the time, Lloyd said, and questions about time’s arrow “were for crackpots and Nobel laureates who have gone soft in the head.” he remembers one physicist telling him. “I was darn close to driving a taxicab,” Lloyd said. Advances in quantum computing have since turned quantum information theory into one of the most active branches of physics. Lloyd is now a professor at the Massachusetts Institute of Technology, recognized as one of the founders of the discipline, and his overlooked idea has resurfaced in a stronger form in the hands of the Bristol physicists. The newer proofs are more general, researchers say, and hold for virtually any quantum system. 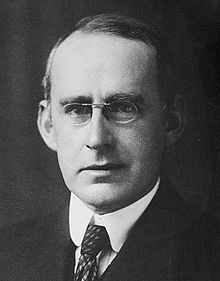 Image: English astrophysicist Sir Arthur Stanley Eddington (1882–1944). Courtesy: George Grantham Bain Collection (Library of Congress).